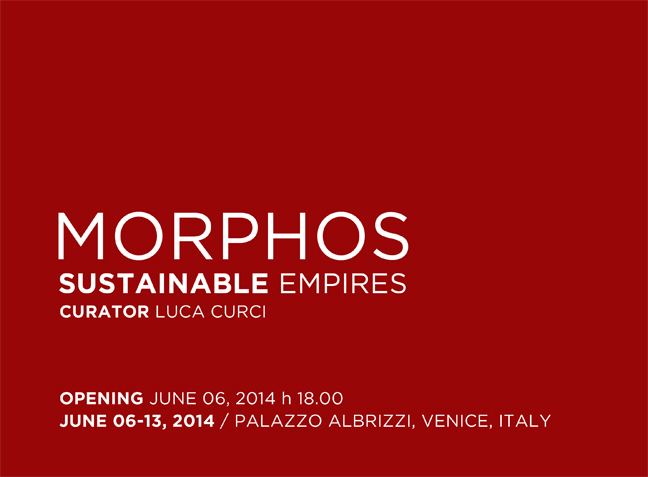 It’s LIQUID Group, in collaboration with International ArtExpo, is proud to announce the opening of MORPHOS – Sustainable Empires, international festival of architecture, photography, video art, installation and performing art, which will be held in the prestigious Palazzo Albrizzi in Venice (Italy), from the 06 to the 13 of June 2014. 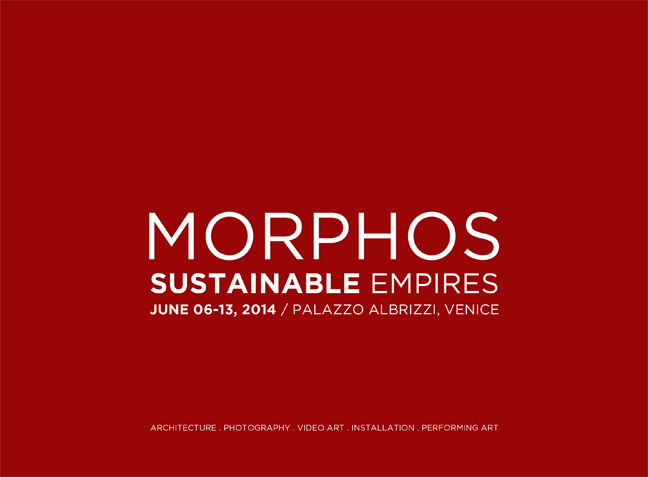 This will be the first event of the festival MORPHOS which will be organized in Venice in the months between June and November 2014, in the same period of Architecture Biennale. During the festival, it will be also presented the division Pixels of Identities, international exhibition of photography, video art, installation and performing art (Palazzo Albrizzi, 06 – 13 of June 2014). 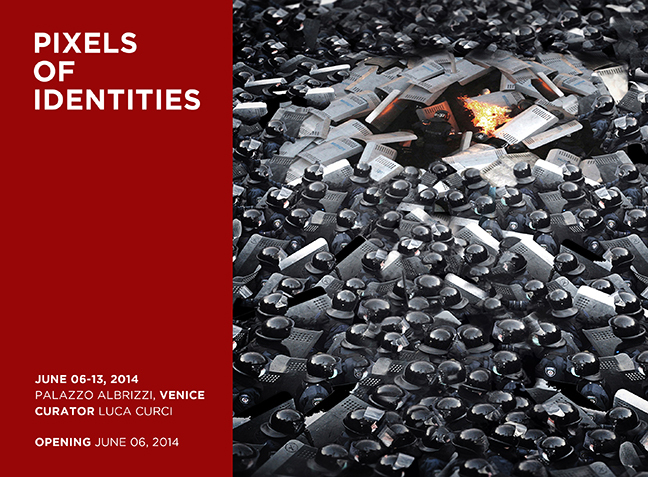 The press conference and preview of the festival will be on June 05, 2014 at 05.00 PM, at Palazzo Albrizzi. To download the complete press kit click here. 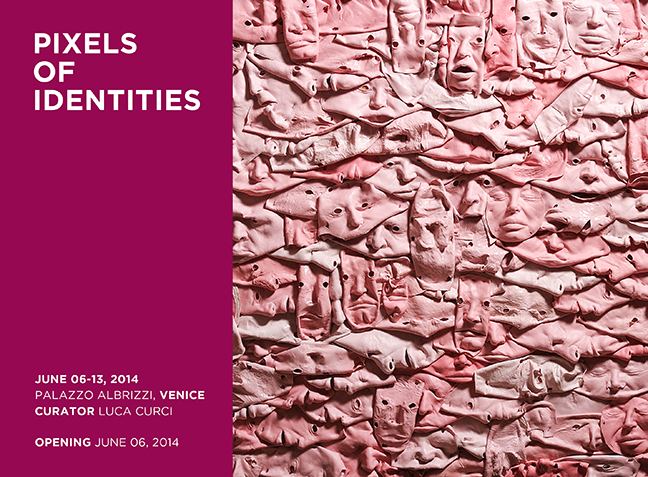 The opening of the event will be on Friday 06 of June 2014 at Palazzo Albrizzi, starting from 06.00PM (free entry). The main concepts of MORPHOS – Sustainable Empires, curated by Arch. Luca Curci (founder of LUCA CURCI ARCHITECTS, It’s LIQUID Group and International ArtExpo), are the unifying power of sustainable architecture and the relationship between man and the city. Architects and designers have been invited to work on the theme of sustainable architecture and the relationship between man and the city. We imagine a future in which sustainable thinking will be the common ground of every cultures’ architecture expressions, and the hybridization of social and cultural realities will represent the new frontier of our lives. Artists, photographers and video makers will be present works on the theme of urban identities and hybridization between identities, bodies and urban settings in contemporary time. People, backgrounds, societies, progress and all their inputs creates hybrid identities, modifying each other and being mixed in prospect to shape a better world. More than 90 artists, photographers, video makers and architects form all-over the world are taking part in the festival. There will be projects, scale models and installations by international renowned architect firms such as MVRDV, Netherlands-based architecture and urban design practice, exhibited and published worldwide, winner of numerous international awards such as Red Dot Design Award 2013, A&W Architect of the Year 2012, WAF Award (World Architecture Festival); ADEPT (Denmark/China), Danish studio which has won several national and international architectural, landscape and urban planning competitions; LETH & GORI (Denmark), one of the most important emerging Nordic architect; Derek Mark Pirozzi (USA) winner of eVolo contest 2013; ross barney architects (USA), awarded the 2005 Thomas Jefferson Award for Public Architecture for a distinguished career and dedication to Architecture in the public realm; Allmann Sattler Wappner (Germany) which has received, among the awards, the German Architecture Award, the Hugo Häring Award, the German Steel Design Award, the Lighting Design Award, the LEAF Award and the ECOLA Award. Among the exhibited artworks there will be the installation “Puzzles” by Czech artist Daniel Pešta, represented by MuMo Muzeum Montanelli of Prague, whose artworks are exhibited in numerous contemporary museums, collections and events such as the Contemporary Art Museum of Prague (Czech Republic) and the Biennale of Venice, 55 edition; the video “Nuvo Japonica” by American artist Laurence Gartel, father of Digital Art, exhibited in Museum of Modern Art, Joan Whitney Payson Museum, PS 1 and permanent collection of Smithsonian Institution’s Museum of American History and Bibliotheque Nationale; ceramic installations by the Italian artist, architect and designer Tarshito, exhibited world-wide, including at the Venice Biennale – Padiglione Italia (2011) and Istituto Italiano di Cultura in New Delhi; photographic work of Nora Schöpfer, Austrian artist presented in many museums, galleries and events such as Städtische Galerie Wollhalle of Güstrow (Germany) and “KunStart 12” Contemporary art fair in Bolzano (Italy); the video work “They Talk.” by Susan Yeung, producer, artistic director, choreographer, event manager, lecturer and performer, working at LASALLE College of the Arts (Singapore); the murals by Pablo Bobbio, authorized to represent the Accademia Carrara di Belle Arti of Bergamo in U.S.A., founder of the Art Department of the East – West Association (Barcelona, Spain) and Art Department of the Center for the Development of Human Welfare, Menorca (Baleares Islands, Spain). On June 06, 2014 at 06.00 PM there will also be the opening of the exhibition “Amando Berlino: Spunti fotografici e pittorici di architetture urbane” by Italian artist Miresi, with a performance of Eva Meier (press conference of the event on June 05, 2014). The exhibition will run from June 06 to July 07, 2014.